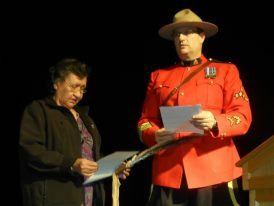 Chief Jason Louie received the Community Achievement Award at a ceremony in Victoria on March 14. The award recognizes and celebrates the spirit, imagination and contribution of British Columbians to their communities. Jason Louie is an innovative thinker with a clear vision for the success of his community. Elected Chief of the Lower Kootenay Band in 2011, Jason worked quickly to establish excellent working relationships between the Lower Kootenay Band and key agencies in the Creston Valley such as the Regional District of Central Kootenay, Mayor and Town Council, College of the Rockies, RCMP and the CBSA to name a few. 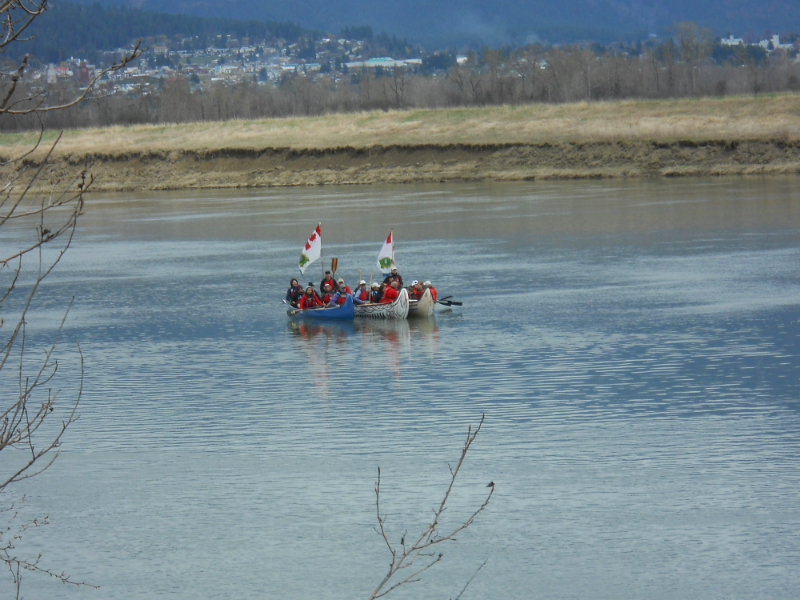 He has openly built bridges that share the Ktunaxa history and culture. And in this way, he has created the awareness and knowledge that makes these relationships thrive. At the same time, in the Lower Kootenay Community, he is engaging the people to revitilize and preserve their language, culture and traditions. The entire Lower Kootenay Community congratulates Jason on this award.